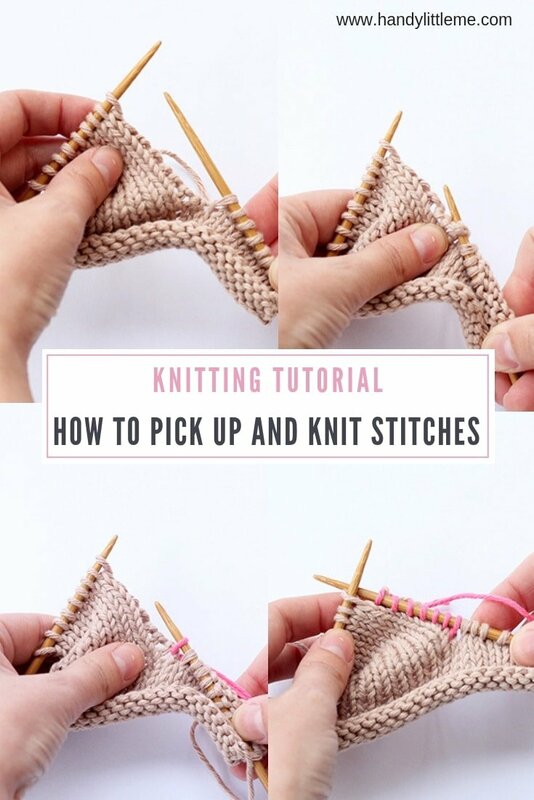 In this post, we will look at picking up stitches. 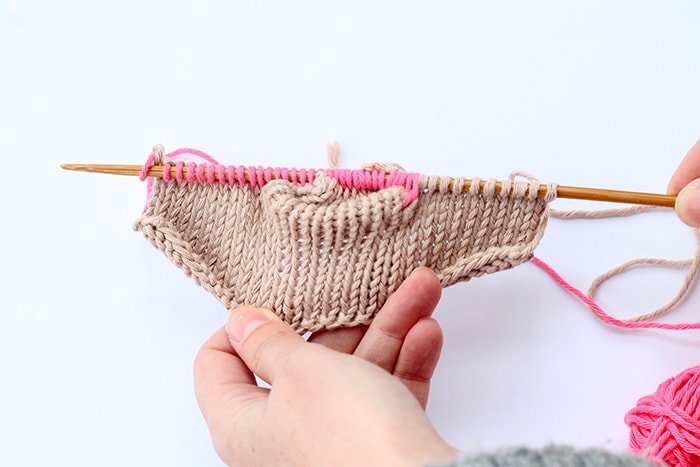 I often get emails from readers who are knitting one of my baby bootie patterns and they want to know how they can pick up and knit stitches for the foot part of the pattern. This post will show you how to do this, through step by step photographs and a video tutorial. 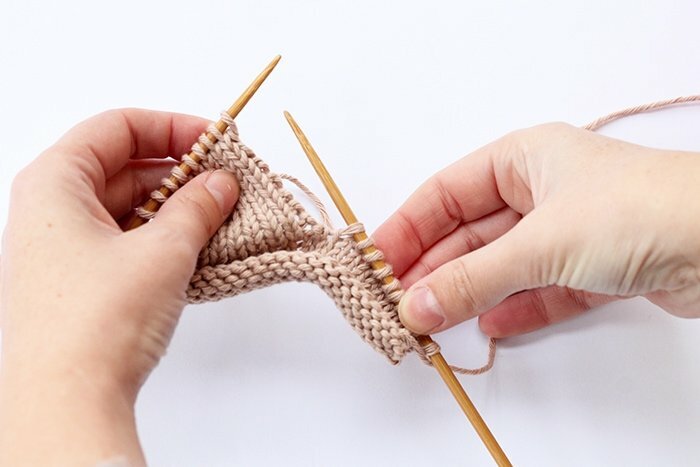 If you don’t know how to pick up stitches in knitting, this post will help you to do that. 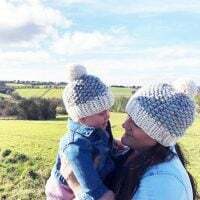 In many projects you are often asked to pick up stitches, to add pockets, neckbands or in one of my patterns the foot section of a baby bootie. 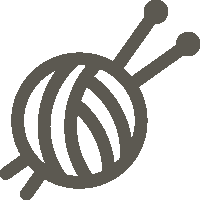 In some patterns, it will say to ‘pick up and knit’ however many stitches and can be abbreviated to PUK. 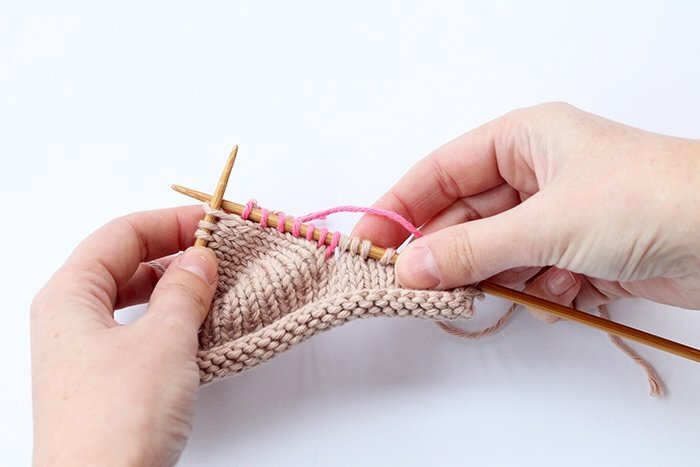 If you are picking up stitches along an edge of knitting, you will be required to pick up stitches from a side edge. 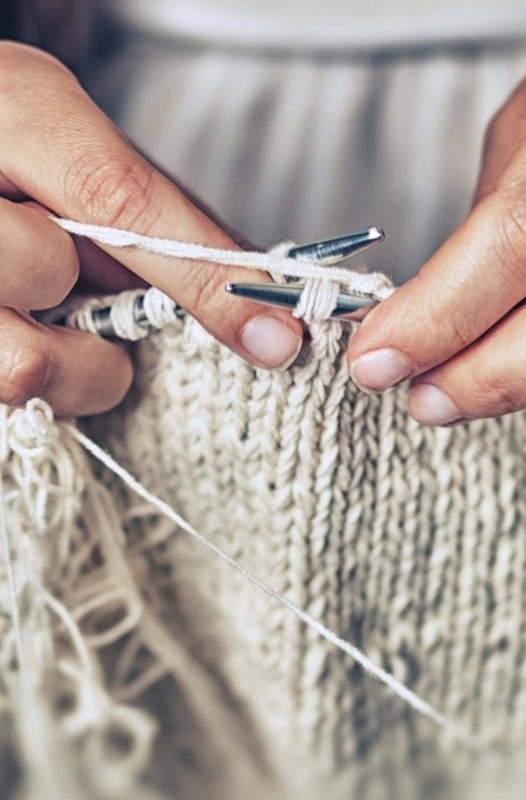 This is known as the selvedge of your knitting. 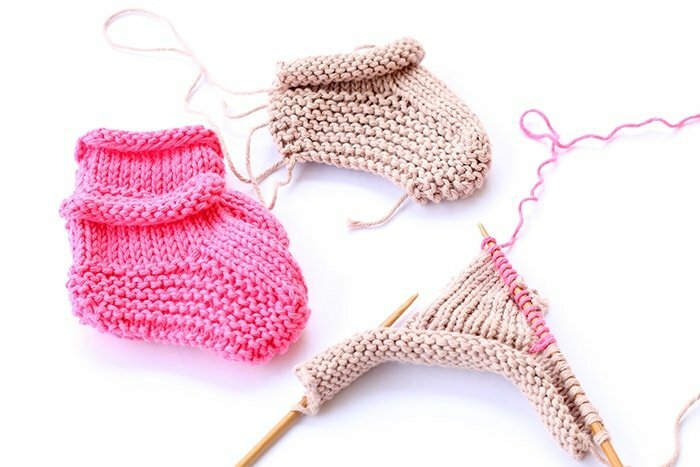 In the photographs and in the video tutorial, you will see how to do this with the easy baby booties. Step 1 – With the RS facing, insert your RH needle into one of the edge stitches of your work, under both strands from front to back. 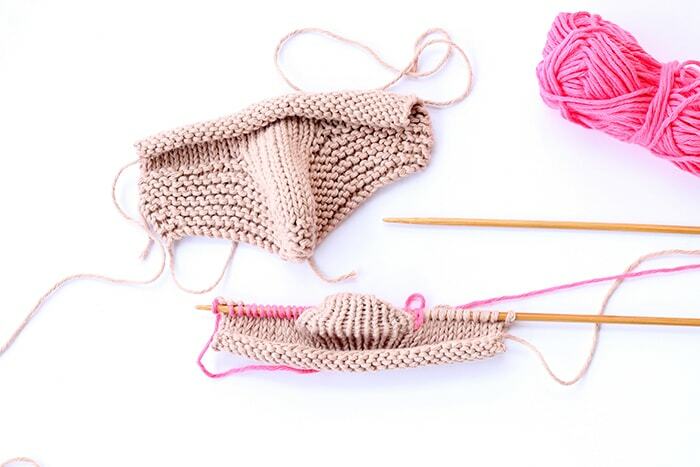 Step 2 – Wrap the yarn around the top of the needle and pull the yarn through to the RS. 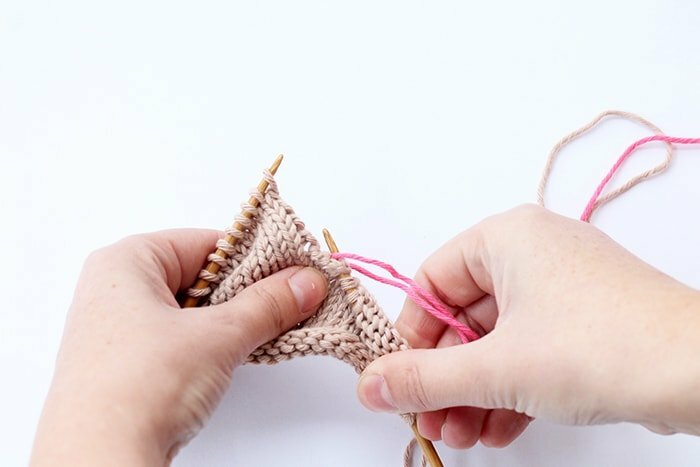 Step 3 – Pull the yarn through towards you, so that you have a stitch on your needle. 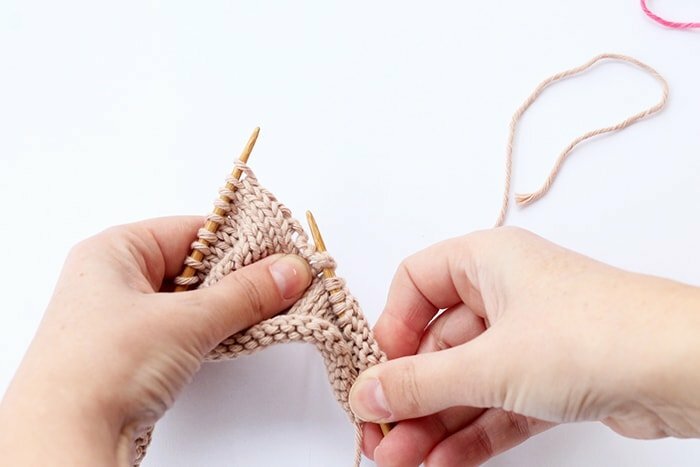 Step 4 – Repeat this step, knitting into every stitch as your pattern directs and you have picked up the correct number of stitches that you need. 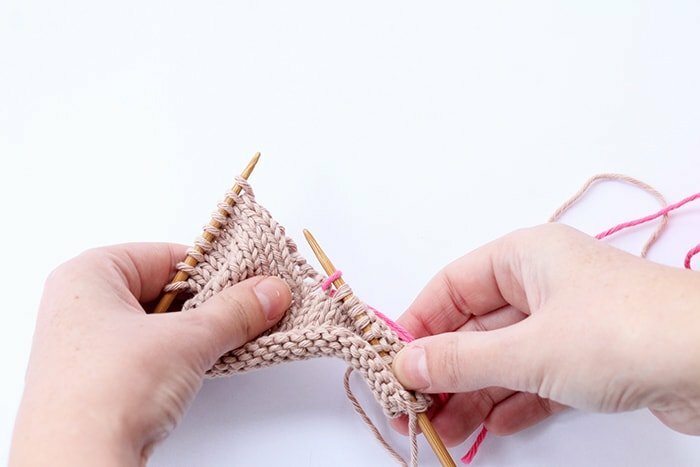 Step 5 – If you are making the baby booties, you pick up a number of stitches along the side (for example – 7 stitches) then knit across the top section of stitches, next, picking up and knitting a further 7 stitches and finally knitting across the remaining stitches. 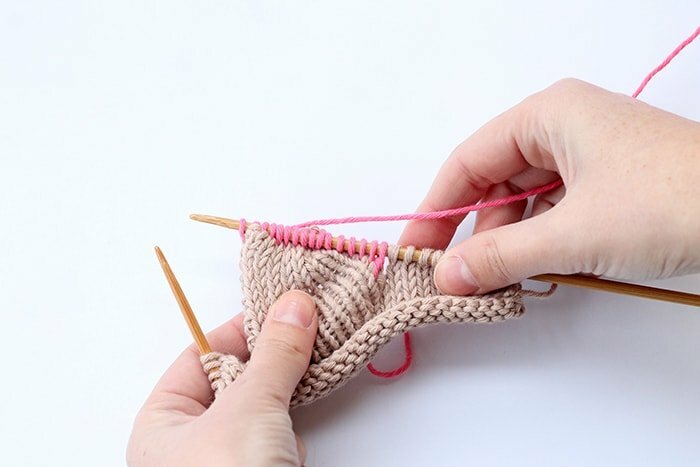 Step 6 – Then when you have all of the stitches on your needle – you will be ready to continue knitting the foot section of the baby booties.